If you have not used automated emails in your marketing efforts, you should seriously consider it. 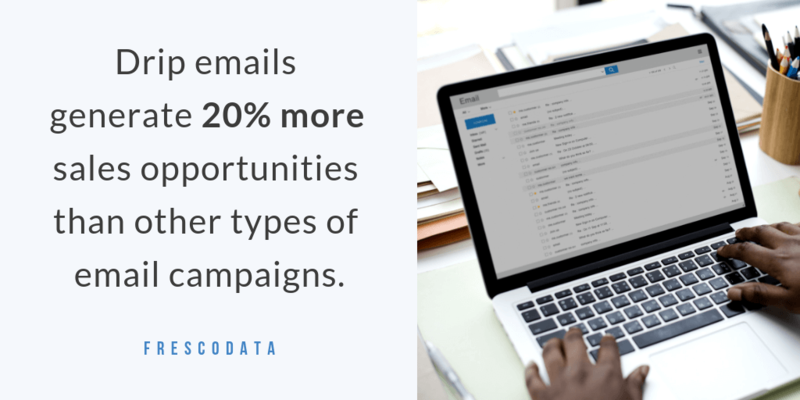 On average, drip email campaigns generate 20% more sales opportunities than other types of email address list campaigns. This is because they are usually more personalized, timely and targeted emails. Drip campaigns are a type of automated sales prospecting. They are a set of relevant emails that are sent out in a sequence. Usually they contain relevant information and features to prospects and potential customers. These emails are meant to take recipients through your company’s entire sales funnel. Drip campaigns can be referred to as email drip campaigns, automated emails, triggered emails and marketing automations. The way these email sequences are sent out is when they are triggered by specific actions from your potential customers. A customer may have opted in to your emails, clicked through an action in an email, downloaded a whitepaper or made a purchase from your company. Sometimes, drip campaigns triggers can also be time based. For example, emails could be scheduled once a day for a week, or maybe once a week for a certain length of time. In order to have successful drip campaigns, you must decide what types of goals you want to achieve with your campaigns. Do you want to achieve more sales? Do you want more people visiting your website? Do you want to increase engagement with your subscribers? These goals must be determined prior to setting up your campaigns. 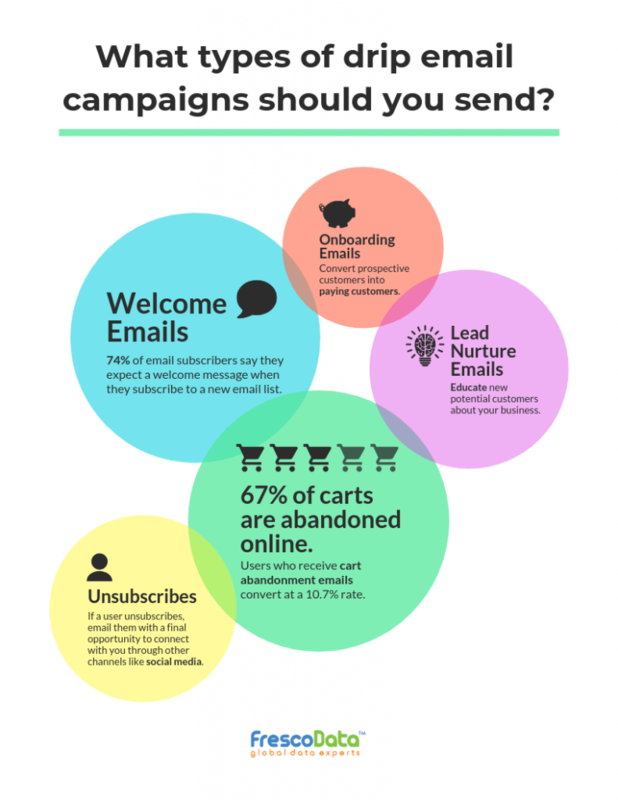 Based on your answers, you can create email campaigns tailored to these goals. You can create different types of campaigns that address a variety of different business goals. They can help with a lot of different problems your business is facing. Once the campaigns are created, make sure to update them over time. As you gain insight from your audience, update tactics and rework campaigns to make them more relevant to your customers. Make data-driven decisions and use your email analytics to create better campaigns that will automatically solve a lot of your business woes. When are automated emails useful? 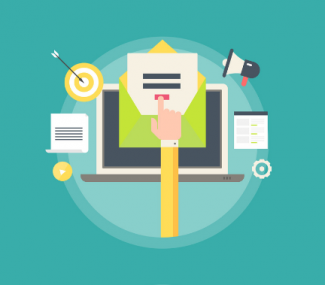 The main goal of email drip marketing is to nurture your potential customers. It keeps them connected to your products or services, builds trust and engages them with your business. 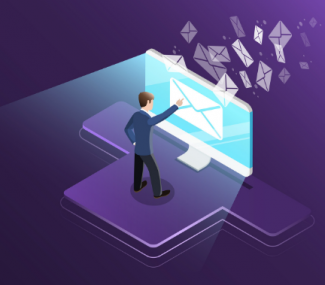 By using email address list automation to send out your drip campaigns, you can connect with your prospects more efficiently and keep your current customers engaged. Specifically, there are several scenarios where you can use trigger email campaigns. Using drip campaigns in these scenarios can help you gather relevant information about targeted recipients. This will help you convert them into paying customers much easier than otherwise. When contacting a new potential customer, they are a lead. These types of prospects do not know your business, your services or your products. They will need to be guided gently through the learning process. By taking the time to hold their hand through the learning process, you have a higher chance of converting them into a paying customer. Some ways you can nurture leads is by educating them about your business, teaching them about features your product offers or offering them free trials to your services. 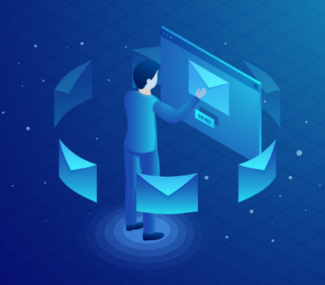 Automated email campaigns help your business walk every user that connects your business through the nurturing process. Welcome emails are exactly what they sound like, they are an immediate way for your business to connect with new leads. These emails usually share some of your business’s top content and serve to introduce prospects to the best features within your products and services. They can also be as simple as simply saying hello. Users expect welcome emails when signing up for a new service or newsletter. Regardless of which tactic you use, welcome emails should be incorporated into your automated email strategy. At some point, you want to convert leads from prospective customers into paying customers. This is where an onboarding drip campaign can be useful. These emails, along with other automated campaigns that nurture leads, are ones that focus on selling specific products. They are targeted campaigns meant to get your lead using or paying for your product or service. Abandoning shopping carts is more common than you would think. Leaders from Shopify state that over 67.45% of online shopping carts are abandoned. This can hurt your bottom line and stop a sale right in its tracks. You can alleviate this by sending out automated campaigns to re-engage customers who are questioning their purchase. These campaigns can lead customers to buy, especially if you point out that the product is still available. There is always an opportunity when sending emails for users to unsubscribe from your campaigns. This is the nature of email address list marketing. While this may be disheartening, it is also an opportunity. When a user unsubscribes, you an send out an email telling them that you are sorry to see them go. From there you can recommend they connect with you through other social channels. Oftentimes, users unsubscribe from emails not because they do not like your company, but simply because they prefer to connect through other means. Offer users an opportunity to remain connected with your brand other than email. Drip campaigns are a must to add robustness to marketing efforts. They present several opportunities for brand growth because they more targeted and create more chances for leads to remain in the sales funnel.